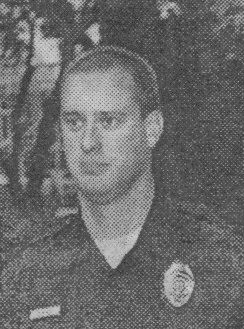 11/8/01 - Bryon Swenson, 36, dies after a gunfight with Pasadena PD officer John Lynn Noel. Swenson told a relative he was going to kill himself, and police were called. It is not known whether death resulted from a gunshot or from a fire that spread through the victims home during the gunfight. 11/1/01 - Robert E. Woodard III, wounded when shot in the leg by Harris County sheriff's deputy Steven Kelly Shaddox. Woodard and four companions had robbed a liquor store and were being chased by police. Shaddox claims he saw Woodard reach into his waistband, so he shot him. It is not reported whether he was shot from the front or the back, or whether he had a weapon. 10/26/01 - Clarence Lorenzo Mumford, b/m, 38, sustains minor injuries when shot by Houston PD officer M.D. Prause, 30 (9-yr. veteran, Westside Div. ), who had responded to a hold-up alarm. Prause found a masked Mumford inside the store, says he pointed a gun at him, and Prause shot him. 10/21/01 - Darryl D. Gorman, 30, unarmed, wounded when shot by off-duty Houston PD officer Hollis D. Felder, 40 (16-yr. vet). After being asked to leave the premises because they were loitering, Felder, working as a security guard, asked Gorman and his four companions to leave. They refused and began hitting Felder, and two other guards came to his assistance. 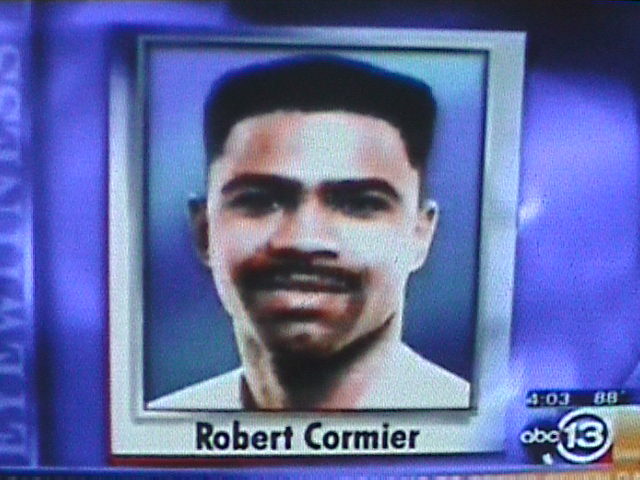 As the fight progressed, Felder's glasses were knocked off, but he claims he saw Gorman move toward another officer and, thinking he was armed, shot twice, striking him in the left side. 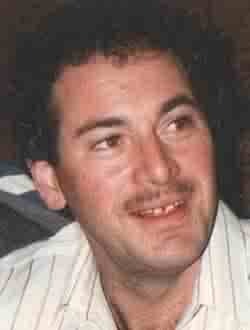 10/4/01 - Beau Christopher Freeze, 19, wounded when shot in the abdomen by Deer Park PD officer Joseph R. Scarafile III. Freeze was at municipal court for traffic violations when Scarafile recognized him as being wanted for burglary. Freeze fled, but was soon surrounded by three officers and ordered to lie on the ground. Scarafile claims he then thought Freeze was reaching for a weapon, so he shot him. Freeze was unarmed. 10/3/01 - Rhett Carter Barrington, killed when shot by Pct. 4 deputy constable Craig Allen Hughes, who was responding to a domestic disturbance. Deputies found Barrington fighting with his wife with a rifle in one hand. The officers claim Barrington refused to drop the rifle, appeared to make a move, and Hughes shot him in the chest. 9/24/01 - Timothy Terry, 22, is shot to death by Harris County deputy constable Tammy Irving Alfred, 37, a 17-year-veteran, who said she was confronted by two masked men as she left her home with her two young daughters; her gun was hidden in her hands. Alfred said one man put a gun to her head, but she got away long enough to shoot at him. The two masked men ran into woods near her home, where Terry was later found dead from her gunshot. 9/13/01 - Patrick Bell, b/m, 30, and Trellis Moss, b/m, 24, wounded when shot by Houston PD undercover narcotics officers Chris Massey and Stephen Fisher. When the officers tried to buy drugs from them, they said they knew they were cops, and the officers began walking away. Officers then claim that Bell and Moss began running towards them with pistols, and gunshots were exchanged. The officers were not injured; Bell was shot in the chest, and Moss was shot in his right knee. 9/9/01 - Mario Zaragoza Rosales, h/m, wounded when shot in the arm by off-duty Houston PD officer D.M. Lopez, working security at a restaurant. A bystander told officers that he had been threatened with a gun by two men in a car. When the officers ordered the men out of their car, they claim the passenger bent down and may have been reaching for something. Lopez grabbed him and claims his gun went off accidentally as they rolled onto the ground. 9/7/01 - Rudes Chacon Diaz, h/m, 21, shot to death by Harris County sheriffs deputy Willie Kelvin Thornton, an 18-year department veteran, after refusing to drop the knife he was holding to the throat of a 10-year-old girl. When he began cutting the girl, Thornton shot and killed him. The girl had only minor cuts. 8/27/01 - Paul Gregory Ramirez, h/m, 46, wounded when shot in the left arm and left hip by off-duty Houston PD officer M.A. Lumpkin, 26 (South Central Div.) Ramirez attempted to rob the bank where Lumpkin was working security. When he announced, "This is a robbery," Lumpkin fired at him several times, hitting him twice. Police say Ramirez had a butcher knife in his possession. 8/19/01 - Eugene Oneal, 67, shot in the right thigh by Houston PD officer R.J. Briones. Oneal's business had recently been burglarized, and he was spending the night in his office trailer to guard it. Meanwhile, HPD officers were searching the area for a drug suspect. When Briones found Oneal's door unlocked and began to enter, Oneal suddenly awoke and, thinking he was a burglar, fired a shot at the officer. Briones returned fire, striking Oneal in the leg. 8/15/01 - Keith Terril Davis, w/m, 32, wounded when shot in the arm by Harris County sheriff's deputy William Randall Christian, a 12-year veteran. Employees at a hotel near his home were frightened when Davis pounded on a window, and called police. A friend drove Davis home, and his family called 911 to get help for him. But Christian, responding to the hotel call, found Davis at his home, entered and found him sitting on his couch, naked and clearly unarmed. Christian claims Davis tried to grab his gun, and he shot him at close range. Forensic evidence, however, indicates Davis was shot from across the room. Davis was acquitted of criminal charges when jurors cited discrepancies in Christian's story. 7/19/02 - Christian shoots and kills Leonard Michael Mosqueda. 8/13/01 - McLoren Anthony Jones, b/m, 21, killed by Houston SWAT officers Patrick J. Straker, w/m, 35; and Richard L. Pedraza, h/m, 41, after apartment residents called police. Officers claim Jones charged at them with a rifle. Jones had shot a resident, who later died. After Jones was killed, officers found another dead man in Jones’ apartment. 7/29/01 - Joseph Dwayne Mason, w/m, 20, killed and Theron Johns, w/m, 16 critically wounded by off-duty Harris County Precinct 8 deputy constable Stephen Hastings, w/m, 27, a 5-year veteran. Hastings was asleep in his pickup when two men blocked his truck with their car. One man banged on his window with a rifle barrel and demanded money. When Hastings reached in his console for his "money," he pulled out a pistol and shot the two 7 times. 7/25/01 - Javier Martinez Jr., h/m, 21, wounded when shot by off-duty Houston PD officer Roland Nieto, 27 (3-yr. veteran-Southwest Patrol Div. ), who claimed he heard gunshots while being followed by a van driven by Martinez. When Martinez got out and approached Nieto using abusive language, Nieto claimed he believed Martinez was reaching for a weapon, so he shot him. He did not have a weapon. 7/9/01 - Kevin Germaine Britton, b/m, 24, wounded when shot three times in the leg by off-duty Houston PD officers T.C. Gamble and Selvyn J. Ellis, working security at a nightclub. Officers said Britton fired 8 shots as he walked through two groups that were arguing and fighting outside the club. Claiming he refused to drop his weapon and turned toward them, the officers shot at him. 7/6/01 - Anthony Bernard Campbell Jr., b/m, 22, wounded when shot in the chest by Houston PD bicycle officer Leonard D. Smith (Southeast Div. ), who suspected Campbell of making a drug transaction. Smith claims Campbell tried to drive away as he was leaning into his car to put it in park, that he feared for his life, so he shot him. 6/24/01 - Doran Anthony Graves, b/m, 41, critically wounded when shot twice in the left side of his chest by Houston PD officer F.J. Heenan (4-yr vet, North Div.) in a motel parking lot. Heenan had seen Graves' pickup in another motel parking lot earlier, and was questioning him about his activities. Graves allegedly became uncooperative, and Heenan ordered him out of his pickup. After doing so, Heenan claims Graves reached back into the truck's seat and grabbed a gun, so he shot him. 6/16/01 - Fredrick Callaway, wounded when shot by Harris County sheriff's deputy Mark E. White, who was working off-duty as a security guard. White was clearing the parking lot when someone shot at him from a car. As the car drove toward him, he fired into it, striking Callaway. 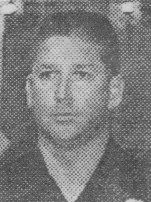 6/3/01 - Jose Antonio Medina - h/m, killed when shot in the chest by off-duty Houston PD officer F.T. Hernandez. Officers had tried to break up a fight between two groups of men at a flea market. Medina and a companion then fled in a truck driven by the companion. Officers claim they hit another truck, which knocked down another officer, and Hernandez fired at them, hitting and killing Medina (the passenger). 5/28/01 - Herman Joseph Dartez Jr., b/m, 31, shot twice in the chest and killed by Houston PD police officers Reynaldo M. Canales, h/m, 30, and T.L. Rubio, h/m, 37, when Dartez refused to put down a kitchen knife and "charged" at the officers. Probably delusional after a 2-day sleepless fast while struggling with a spiritual matter, Dartez had killed his 11-year-old son and attempted to kill other family members. His wife said he snapped during the fast and that the devil was the driving force behind the rampage. Neighbors described him as a hard worker, not known for arguing with family members. 5/22/01 - Alex Adams, b/m, 18, wounded when shot by Houston PD officer Enrique Duharte-Tur, 34, working off-duty with three other officers. As the officers approached a group of men, one of the men dropped something and all but Adams (who was on crutches with a cast on his leg) ran away. Adams pulled a gun from inside his cast and shot HPD officer Albert Vasquez in the head, killing him. A gun battle ensued, with Duharte being shot four times, and Adams once in the leg. Duharte-Tur was critically injured, but survived; Adams was sentenced to life in prison. 5/8/01 - Ardis Smith, b/m, 30, unarmed, wounded when shot in both legs by Houston PD officer H.E. Gilliard, who claimed that because Smith had his hands tucked inside the waistband of his trousers, he thought he was armed. Smith had robbed a grocery store and then broke into a nearby residence to evade police. Gilliard was also involved in the 08/28/91, death of a man who shot his two children. 4/11/01 - Mi Young Blain, 41, shot once in the chest and killed by her husband, Houston police officer Reynolds Blain, 42, a 16-year veteran of HPD. Blain claimed he was trying to put his weapon away and it discharged. He was indicted for criminally negligent homicide. 3/1/01 - Lee Arthur Johnson, b/m, 34, wounded when shot in the leg by Houston PD officer Jason Aldrete, 25, who claims Johnson pulled a box cutter from his pocket when ordered to show his hands. He is charged with cocaine possession. 2/23/01 - Joe Anthony Zuniga, 24, h/m, shot six times and killed by Houston DEA undercover officers Chad Berard, 31, w/m, and Alfred Paris, w/m, 33. Police say Zuniga became suspicious during drug deal and fled in a minivan. Agents chased him and a shootout occurred. A 14-year-old witness said, "The cop in the Mustang was still shooting…It sounded like nothing but gunshots." One of the officers received a minor graze wound to the shoulder. Both officers were no-billed. 42, a 6-year veteran with the Harris County sheriff’s office, wounded when shot in the chest by Harris County sheriff’s deputy Raynard F. Guillory, 33 (a 7-year veteran), following a dispute at a Super Bowl Party at Cormier’s home.